The anti-corruption bureau suspects the embezzlement of 12bn hryvnia. Kyiv's Solomenskiy district court on July 1 allowed the detectives of the National Anti-Corruption Bureau of Ukraine (NABU) to temporarily gain access to the documents of the National Bank of Ukraine. The detectives are allowed to peruse the documents that contain banking secrecy, and to make copies of them, according to a ruling of the court. NABU opened on 27 April criminal proceedings on the charges of misappropriation, embezzlement, legalization (laundering) of proceeds from crime in banking industry. 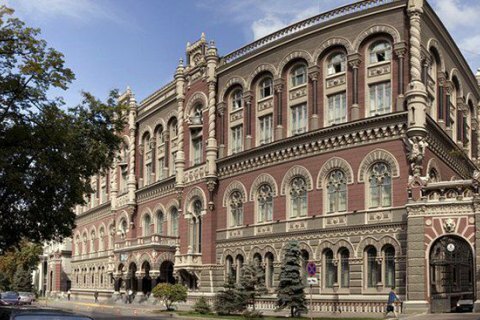 The detectives established that in 2014-2015 the NBU officials by prior agreement with the banks Pivdenkombank, bank Kyivan Rus, City Commercial Bank, Avtokrazbank, Terra Bank, Delta Bank, Khreshchatyk and Finance and Credit have misappropriated 12bn hryvnia from the NBU through illegal refinancing. The anticorruption detectives claim that CEOs of the banks Delta, Kyivan Rus, Pivdenkombank, Terra, Avtokrazbank, Khreshchatyk and Finance and Credit, and the National Bank of Ukraine have channelled the misappropriated 12bn hryvnya to repay the debts of companies, controlled by them, before Meinl Bank Aktiengeselschaft (Vienna, Austria). Putin seeks Merkel, Hollande help "to avoid Ukraine escalation"